“Experienced – Motivated – Professional” – These words best describe Craig Loudon. 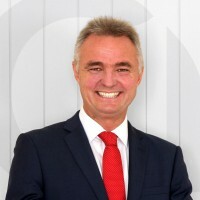 Craig commenced his career in Real Estate over 27 years ago, and as a long-term local he knew that WJ Tobin would be the agency to build his career. He has never looked back, only forward; and his ongoing success has seen him consistently be the leading Agent at WJ Tobin and one of the leading Agents in his area. Craig doesn’t seek accolades or awards, but his loyalty to WJ Tobin has seen him recently become a partner of the Firm, assuming the position of Principal. He is still actively listing and selling properties as this is his passion, however, he is now also mentoring and assisting his team to reach their goals and at the same time driving the business to new heights. Craig’s strengths are his tenacity, his communication skills, his ability to negotiate and his sheer unrelenting passion for his chosen career. Now in his third decade of Real Estate, Craig still has the same commitment and enthusiasm as when he first started. He has always been a team player putting the interests of WJ Tobin’s clients first before his own individual results. He has listed and sold thousands of homes over the years, and has formed strong relationships with many past and present residents in the area. A large portion of Craig’s business is now referral based – he has established trust and built a solid reputation as a top calibre Agent who embraces the challenge of securing great results for his clients. Honesty and integrity are values held tightly by Craig and he will never compromise these to secure business. He was attracted to the WJ Tobin brand because of their business ethics and their good name in both the local community and the Real Estate Industry; not just their success. Real Estate is a demanding career which requires plenty of long hours and hard work to survive. Craig continues to put in the hours and do the hard yards, and he intends to remain at the top for many years to come.